Can you think of a million things you would rather be doing right now besides working out? Well, you are not alone that is for sure. Let me take you on a little journey and share my Beachbody on Demand Review. My goal is to take a good look at this program and help you decide if it’s worth your hard earned money. 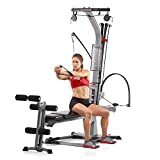 As a guy who has been dealing with back problems for about 20 years, I am always looking for new and innovative ways to workout. I look for low impact ways to build core strength which helps to keep my back pain somewhat at bay. 1 What is Beachbody on Demand? 1.1 How does Beachbody on Demand work? 1.2 What is included in your membership? 1.4 Does Beachbody on demand work? 1.5 Do I need my own equipment? 1.6 Who is Beachbody on Demand for? 1.8 How much does Beachbody on Demand cost? I have tried a lot of different workout programs over the years, and honestly, I like working out in the comfort of my own home whenever possible. I tend to focus on programs like yoga, or core strengthening, cardio, functional movements, things that will help me with everyday life. I am not huge into bodybuilding type stuff because I don’t see myself moving a bus anytime soon. Sorry, I didn’t mean to get so far off topic LOL. That brings me to the point of this post. Let’s get into what Beachbody on Demand is all about. Convenience is the name of the game with this program. You are certainly familiar with the term “on demand” when it comes to movies or TV shows. These days you can pretty much watch whatever TV show or movie you want to, whenever you want to, no matter where you are. With services like Hulu and Netflix, you can just sit back and relax with your favorite show. Well, Beachbody on Demand has taken a similar approach to working out. This is a streaming workout service with a bunch of different workout programs to choose from. You pay a flat fee and have access to a crazy amount of content. On-demand means just that, you can access these videos and work out when you want to, according to your schedule. There are tons of awesome workouts to choose from, for every fitness level. With Beachbody on Demand, you can grow with and into this workout program. You will have 24/7 access on your device, no matter where you are, or what time of day it is. There are no annoying DVD’s to buy or carry around anymore, you can access workouts anywhere anytime you want. Many years ago Billy Blanks made Tae Bo famous with his VHS recordings. P90X was not far behind with DVDs. 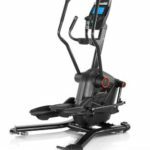 Well, with new technology comes a new way to workout. Now you have a whole bunch of fitness programs available right at your fingertips. Some folks either don’t want to go to a gym, are intimidated by gyms, or don’t have access to a gym, so Beachbody on Demand brings the workout to you. You choose a workout program, follow the nutrition plan, keep track of your workouts and see your results. Sounds easy right? Well, nothing is ever easy, but these folks try to make the process foolproof. There are over 40 unique programs (with over 600 workouts) to help you achieve your fitness goals. For instance, you can filter by “Beginner,” “0-30 minutes”, “Low impact” and you will have a wide variety of workouts to choose from. Within each category you have options, and you can drill down to exactly what you want. If there is a specific trainer you are interested in, you can filter on that trainer. For instance, if you want program lead by famous trainers such as Shaun T, or Tony Horton, you have that option as well. Also, each training module will show you how many days the program lasts and how much time is required per day. Some programs last a few days and some last much, much longer. 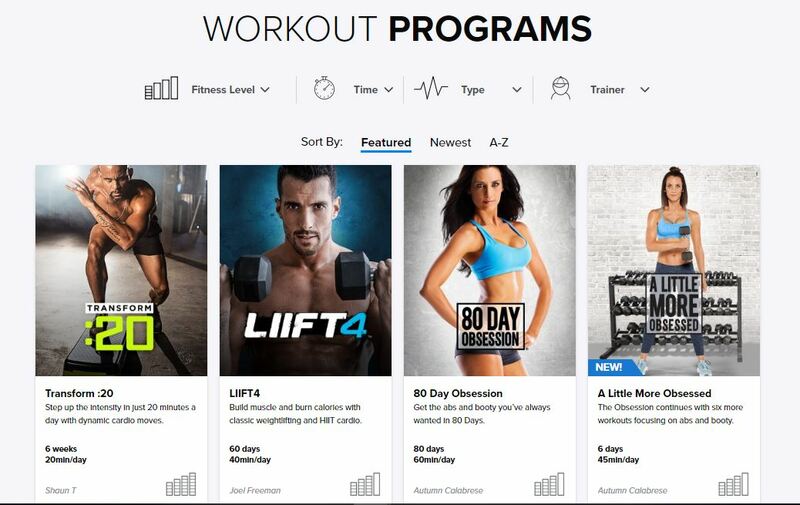 Beachbody on Demand is customizable and fits a wide variety of fitness levels. Access to over 600 workouts, tools to help you stay accountable, tips from the trainers and meal plans, are just some of the things included with your membership. You will also get clean eating tips from Beachbody on Demands very own cooking show FIXATE. You can get tips, healthy recipes and even contact your coach within the community. You can ask questions and get motivation as well. You can discuss your progress or get help if you need it. A community of like-minded people will also be there to help you and encourage you along the way. Community support is a huge deal when you are in a fitness program. It is great to have other people to support you on your journey to better fitness. I think community is often overlooked. Having other people there to support you and hold you accountable will help you reach your goals. Does Beachbody on demand work? That my friends is completely up to you. BOD gives you all of the tools you need to be successful, but you have put in the work. The program is pretty simple, you choose a workout program and follow the meal plan, and I believe if you do that you will see results. A big part of any fitness program is diet, so it’s excellent that Beachbody on Demand includes a meal plan for each workout. There is a community of people to help keep you engaged, but ultimately it’s up to the individual to put forth the effort. You can check out the workout programs ahead of time and see what if any equipment is needed. Some have required equipment, some have recommended equipment. Some of the equipment needs are things like a workout mat or resistance bands. 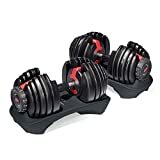 If you have some dumbbells around the house, you can use those as well. Not all programs require or recommend equipment, so don’t let that scare you away. Who is Beachbody on Demand for? Okay, sounds great, but who is this program designed for? 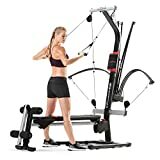 Well, it is designed for many different fitness levels from beginners to advanced fitness fiends. There is literally something for everyone with the Beachbody on Demand program. With a class called “80-day obsession”, I think you can see what I am talking about. 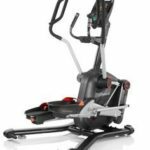 The program is excellent for people who are limited on time or don’t want to hassle with going to the gym. Honestly just getting to the gym is sometimes half the battle. If you travel a lot, you can always access Beachbody on Demand and get a workout in too. There are programs for all kinds of body types and fitness levels, so what are you waiting for? No gyms. You don’t have to pay any initiation fees or have to deal with crowds. This program is less expensive than joining a gym. Plus you don’t have to worry about being intimidated, or making a special trip to the gym every day. No judgment. It’s just you working out in the comfort and convenience of your home, or wherever you want to really. There are a LOT of different programs and within each program a bunch of different workouts, so you are sure to stay engaged and not get bored. Beachbody on Demand app. The app is available for both Android and iPhone so you can download the workouts and watch them without an internet connection. I would say this is what it’s all about, bring the workout to you in your own space and time. There are a few different options when it comes to paying for your membership. $99 per year billed annually ($8.25/month). With that, you get a 30-day money back guarantee. You can also upgrade the Shakeology pack for $160, and that includes 30 days of Shakeology which is the drink that Beachbody on Demand recommends. The only bummer with this package is that once you run out of the shake powder, you have to buy more. So that can get expensive. Each program is auto-billed, so it will keep on renewing until it is canceled. With the Shakeology pack, you will be enrolled to a monthly subscription so you will have to decide if that is something you want or not. Nutrition programs are also available for purchase as a separate package. Well, that covered a lot of ground, and now it’s time for a recap. I believe this is a good program for a lot of people. The fitness program is designed with convenience in mind, and they bring the workout to you. All of the tools you need to be successful are included, but you have to put in the work. Nobody can make you work out or eat right, or actually, start and complete a workout, so you have to do your part to make the program work. That said, I think this program has a lot to offer, from the on-demand platform and honestly it really is pretty affordable. 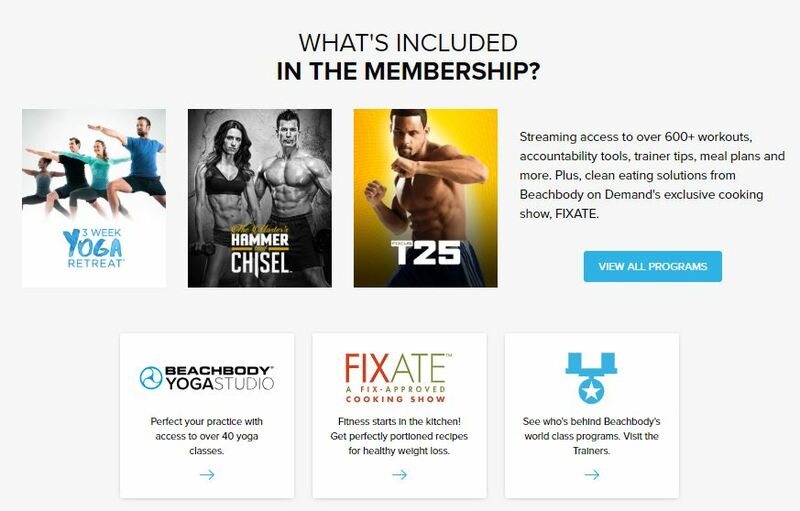 If you are looking to add a little something to your existing workout routine, Beachbody on Demand might be a great way to change up your current fitness program. If you are a beginner and are intimidated by going to a gym, this is a great way to get started. Especially with the nutrition plans included. Maybe you don’t have a gym close by, you are a busy working parent, or you work crazy hours, Beachbody on Demand brings the workout to you. So, if this sounds like something you are interested, remember you have 30 days to cancel, I say give it a try. Check out the platform and the workouts and then decide for yourself. I hope you have enjoyed this review and understand a little more about Beachbody on Demand. Please let me know if you have any questions or comments and I will get back to you as soon as I can. Thanks for taking time out of your day to stop by!